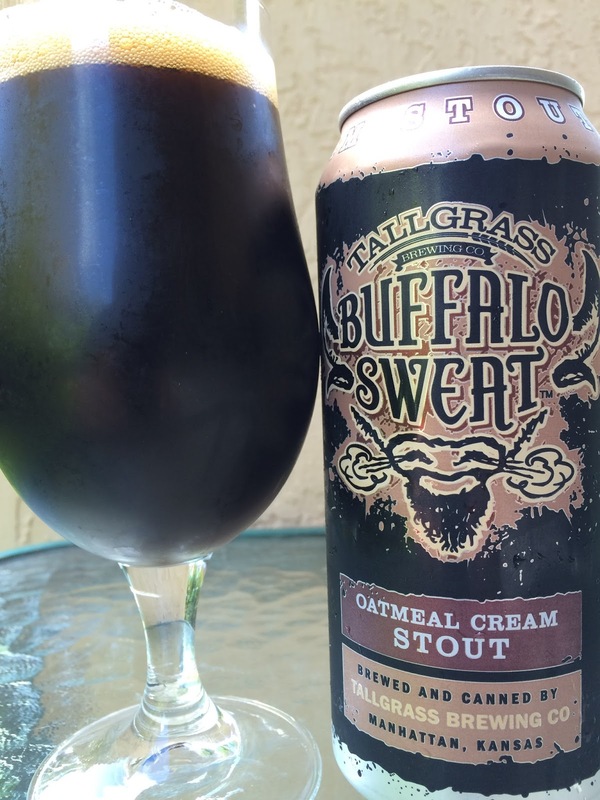 I cracked open a pounder can of Tallgrass Brewing's Buffalo Sweat Oatmeal Cream Stout this afternoon. Cool Can with the name of the beer incorporated into a giant snorting buffalo head.5.0% alcohol. 20 IBU. Drink By 12/24/15. Luscious chocolate, light coffee aroma. Coffee flavors dominate in the beginning with the cocoa taking a back seat. Crazy creamy milky and smooth. Sweet flavors exist but there is a strong roasty bitter balance that drives the sweetness away. Good. Not exactly my cup of tea though.